Surface tension happens when the liquid molecules at the surface resist an external force. Liquid molecules hold strong attractive forces between other molecules that are the same. These forces are called cohesive forces. Did you ever notice how water droplets on a counter seem to bead together? That is because the water molecules are held together by cohesive forces. This phenomenon is what allows for certain bugs, like water striders, to scurry across the water's surface without sinking. How does adding a variable, like dish soap, to water affect surface tension? First, you need to prepare two glasses of water. 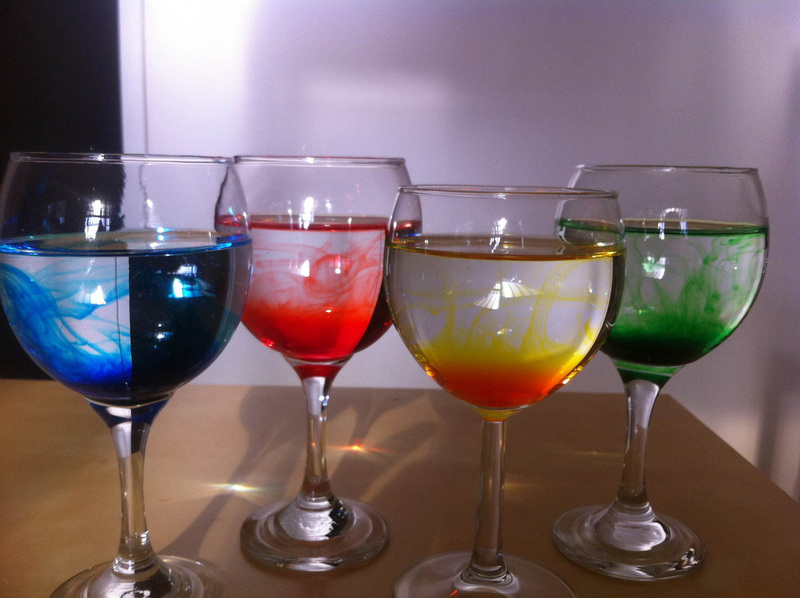 Set the glasses side by side and fill them with equal amounts of water. Then, add a small amount of liquid dish soap (about 1oz) to one of the two glasses and mix it in well. Once the water has settled, crumple up two small squares of paper into balls that will fit in your glasses. Drop a paper ball into each glass so that it sits on the surface of the water. Be sure to label the container with added soap, so that you are able to differentiate between the two. Observe the progress. You should notice that the ball of paper that was dropped into the mixture of soap and water is beginning to submerge, while the other ball remains afloat for a longer period of time. This is because the soap weakens the molecular bonds of the water, decreasing the water’s overall surface tension. Record your results. How much faster did the soap and water mixture take to sink the paper than the container of regular water? To review the process, try varying the amount of soap you add to the glass each time you test the phenomenon. Smart Tip: Take pictures for each step of the process to show the visual transformation of the paper.